A recent study conducted by the University of Michigan Human Neuromechanics Laboratory suggests that motion assisting exoskeleton utilizing the Knee-Stress Relief Device (K-SRD) can help battle-equipped soldiers to better perform in inclined terrain. 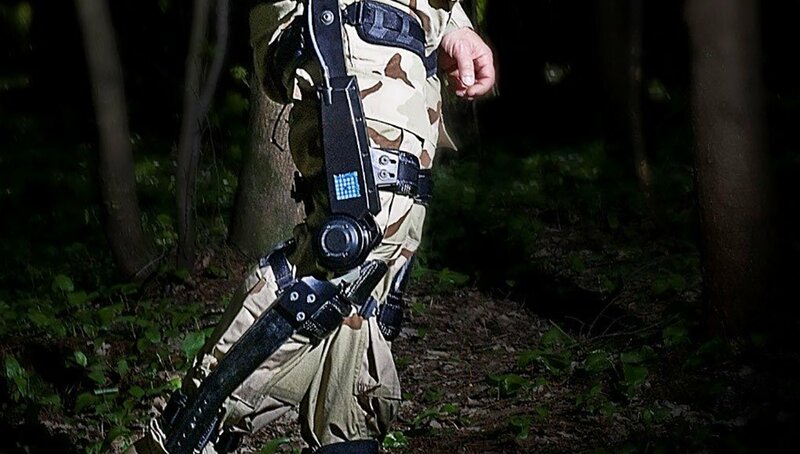 K-SRD is part of the FORTIS system, the latest exoskeleton developed by on inclined terrain. The independently funded study held by the University of Michigan indicated that K-SRD consistently decreased the cost of transport of walking up an incline with a load. Through the study, four trained participants used the exoskeleton carrying 40-pound backpacks while walking at various speeds on a treadmill inclined to 15 degrees. The tests results show all participants conserved energy using the K-SRD, reducing overall exertion. The study results show K-SRD’s potential to increase mobility for dismounted troops. By reducing the effort in walking and climbing, there’s less fatigue. This technology can literally help fighting men and women go the extra mile while carrying mission-essential equipment. More testing is anticipated and will be expanded to reflect urban scenarios, including ascending and descending stairs with weight to assess the potential for first responders. K-SRD uses Dermoskeleton technology licensed from Canadian developer B-TEMIA. The system assists its wearer in completing repetitive or physically demanding tasks, such as lifting or dragging heavy loads, holding tools or equipment, repetitive or continuous kneeling or squatting, walking with load, walking up or downhill, and using stairs while carrying loads. Built of a combined assembly of rigid and flexible elements K-SRD employs sophisticated sensors and motion algorithms. The system understands and predicts user motions, particularly in repetitive movements on inclined terrain. Soldiers that tested the system could run, climb and squat, take cover, crawl and change position like combat soldiers do. The system assists troops in most situations, but if required, it can be turned off with a flip of a switch. The powered assistive device uses a robotized mechatronic structure to generate computer-controlled active support to the lower extremities to counteract overstress on the lower back and legs and provide additional power to the knee. The lightweight and flexible device is sized and integrated with combat fatigue and individual equipment systems worn by the user. The K-SRD does not initiate any movement but waits for the user’s lead. Once the user makes the first move, the device assists according to the activity, relieving stress from the knee or by generating additional biomechanical energy on the lower extremities. The system includes a controller box that contains sensors that collect information about the user’s body’s kinematics and the kinetics, software that recognizes the user’s mobility intentions and actuators that transfer biomechanical energy to assist those motions.